Tonsillectomy Risks vs. Benefits: Is It Worth It? Tonsillectomies are among the most commonly performed surgical procedures in the United States. While generally safe and effective, you should understand the risks and benefits before having your tonsils removed. There are two common reasons a surgeon might suggest removing your tonsils. Recurrent strep throat is the main reason for having a tonsillectomy, however a tonsillectomy may also be recommended to treat sleep apnea related to enlarged tonsils. 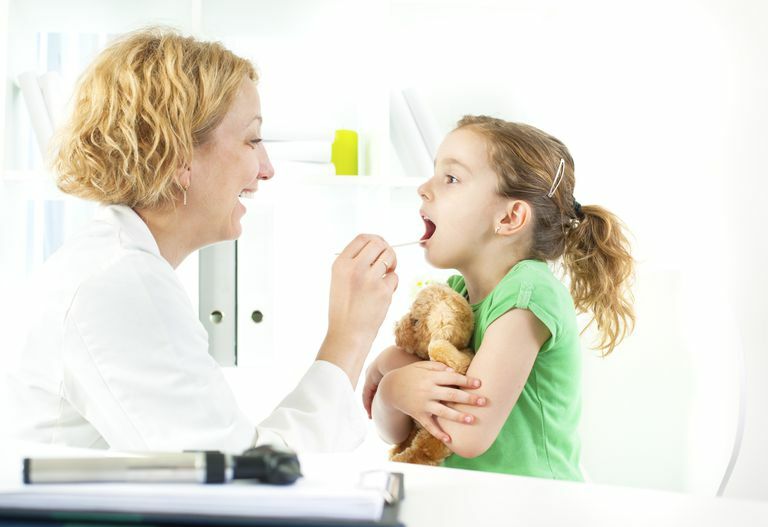 In particular a tonsillectomy will be recommended for your child if sleep apnea is causing quality of life issues such as hindering performance in school or excessive daytime sleepiness. Sleep apnea is a condition where a person stops breathing for brief periods of time during their sleep. Recent research has shown that over time, this lack of oxygen to the brain and heart can result in severe illnesses, including heart disease, depression, mood swings, aggression, daytime sleepiness and numerous other health problems. Swollen tonsils can can cause apnea by directly blocking the airway while a person is lying down. Most professional guidelines do not recommend a tonsillectomy for infections unless you have had five to seven of them in one year. However your surgeon will consider the severity of those infections and how responsive you are to treatment. While removing the tonsils is usually helpful for treating chronic infections it is not always 100 percent effective. It is still possible to get strep throat or a similar infection after having your tonsils removed. Nevertheless, the majority of people either stop having infections or don't have as many. If you do get an infection after a tonsillectomy, the infection is usually not as severe as it would have been before the surgery. Reducing the frequency of infection may also decrease your risk from complications of strep throat. The frequency of tonsillectomies in the United States has increased as doctors understanding of the dangers of sleep apnea is better understood. In fact, surgeons are more likely to recommend removing the tonsils if you have sleep apnea than if you have chronic tonsillitis alone. Removing swollen tonsils has been found to be very effective in treating and curing this form of sleep apnea. However, surgery should only be considered when other, less invasive forms of medical treatment are not tolerated or are ineffective. While less common, there are other reasons your doctor may recommend removing your tonsils, including: peritonsilar abscesses, tonsil cancer and enlarged tonsils that are causing teeth problems. Enlarged tonsils that are causing difficulty with swallowing or breathing and have not responded to other treatments should be removed as soon as possible. Aside from some life-threatening complications, there are also some expected tonsillectomy side effects. Many people experience nausea and vomiting, throat pain, difficulty swallowing, low grade fever, bad breath, earaches and fatigue. The likelihood of you having these side effects varies greatly, as does the severity of the symptoms if you should have them. It is widely believed that children tend to have a shorter and "easier" recovery. Tonsillectomies are performed under general anesthesia. Surgery requiring general anesthesia comes with risks that you should be aware of. These risks range from minor—nausea and vomiting—to life threatening—such as respiratory failure, malignant hyperthermia, and even death. You will be less likely to experience any serious complications if you have already successfully undergone general anesthesia in the past. If you have a family history of malignant hyperthermia, pseudocholinesterase deficiency, muscular dystrophy, or sudden death from general anesthesia, you will be at a higher level of risk for experiencing a surgical complication. You should inform your anesthesiologist if any of your family members have experienced these complications. This does not mean that you should not have surgery, but it will be helpful to the anesthesiologist and they may adjust medications used to avoid potential problems. You are also more likely to have respiratory problems after anesthesia if you have a chronic respiratory condition such as asthma or sleep apnea. However, thousands of individuals suffering from sleep apnea successfully undergo general anesthesia every day. Anesthesia is considered fairly safe, as the death rate (mortality) is estimated to be less than one in 100,000 patients. You can reduce your risk by following the instructions given to you before your surgery, (especially about eating and drinking), and fully disclosing your health information to your doctor. There is always a risk of hemorrhaging (bleeding) during and after any surgery, but because the tonsils are close to major blood vessels, bleeding is considered an emergency. Bleeding after a tonsillectomy is not common. However, it is perhaps the most serious risk of the operation. If you have bright red blood coming from the tonsil beds at any time, you should get immediate medical attention. Serious complications from bleeding, including re-hospitalization, additional surgery, and death, are very rare. There are two times during which post-operative bleeding is most likely to occur: within the first 24 hours after surgery and six to ten days after surgery when the scabs come off. It is estimated that between two to 22 people out of 1,000 people will hemorrhage within 24 hours after surgery. Post-operative bleeding within six to ten days after surgery is also estimated to being around 1 to 37 out of 1,000 chances. Diseases such as hemophilia or anemia increase your risk of bleeding after a tonsillectomy. The use of certain medications such as aspirin, ibuprofen, naproxen or prescription blood thinners like Coumadin (warfarin) can also increase the risk. Your doctor will recommend you stop taking these medications before surgery and should give you specific instructions regarding the use of these medications after your tonsils are removed. There is also some evidence that the steroid dexamethasone, commonly used during surgery to prevent nausea, may slightly increase your risk of bleeding. Dehydration can also increase the risk that your scabs will come off too early and cause bleeding. You should be aware that during the actual surgery you may swallow some blood. This blood may come out in saliva or be vomited out later. In this case the blood will appear brown (it is commonly described as looking like coffee grounds). This is not a concern. However, bright red blood coming from the tonsil beds is unacceptable and you should get immediate medical attention. You can check your tonsil beds for bleeding by using a tongue depressor or popsicle stick and a flashlight. If you had your adenoids removed, you may also have a tiny bit of blood-tinged liquid come out of your nose. There is a small risk for other rare complications, including burns during surgical cautery, upper airway obstruction from excessive scar tissue, damage to the teeth during intubation (the insertion of a breathing tube for general anesthesia), accidental inhalation of stomach contents while under anesthesia (aspiration pneumonia), and allergic reactions to medications given during and after surgery. Again, these complications are rare. If you are concerned about them, discuss them with your physician and learn about the steps they'll take to prevent these complications from occurring. It is estimated that roughly 380,000 tonsillectomies are performed annually in the United States. By far the majority of these operations are considered successful. While the risks of having your tonsils removed should not be taken lightly, if your enlarged tonsils are decreasing your quality of life, you are otherwise healthy an do not have a family history that increases your risk for surgical complications, it is probably worth it to have them removed. However, this is a decision that only you, with the assistance of your surgeon, can make. Paradise, JL & Wald, ER. (2017). Tonsillectomy and adenoidectomy in children. http://www.uptodate.com (subscription required). Is Bleeding After a Tonsillectomy an Emergency? Can your tonsils grow back after a tonsillectomy? What Can I Eat After a Tonsillectomy? What Happens When You Get a Tonsillectomy? How Long Does It Take to Recover From a Tonsillectomy?